Ex House and School of Santiago, visited by President Porfirio Díaz in 1906. Location. 20° 58.187′ N, 89° 37.822′ W. Marker is in Mérida, Yucatán, in Municipality of Mérida. Marker is at the intersection of Calle 59 and Calle 72, on the right when traveling east on Calle 59. Touch for map. 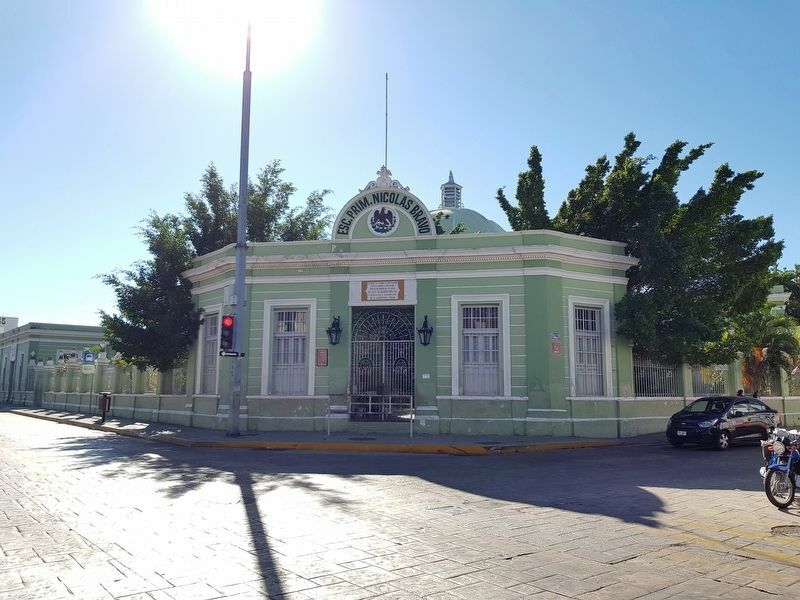 Marker is at or near this postal address: 566 Calle 59, Mérida, Yucatán 97000, Mexico. Touch for directions. away); The History of Chemulpo Street (about 120 meters away); El Chemulpo (about 150 meters away); Augusto Cárdenas Pinelo (approx. 0.3 kilometers away); Julia Dominga Febles y Cantón (approx. 0.3 kilometers away). Touch for a list and map of all markers in Mérida. More. 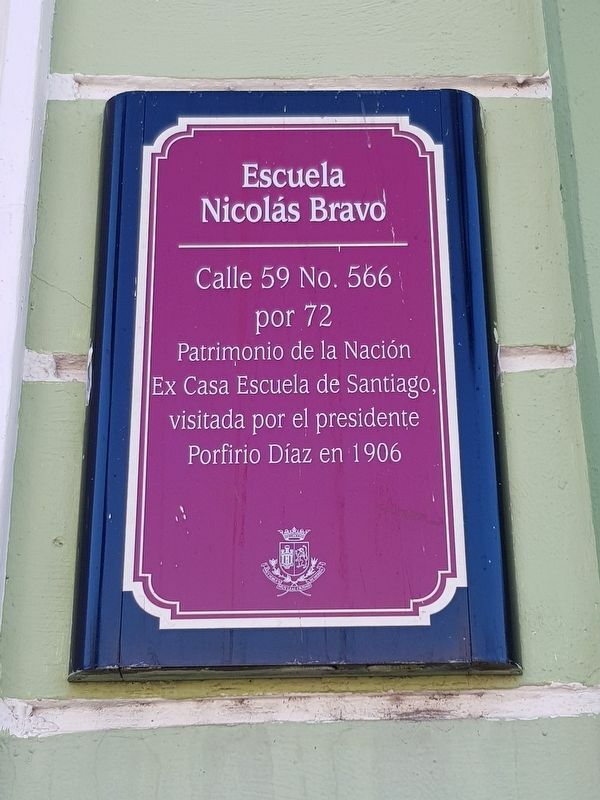 Search the internet for The Nicolás Bravo School. Credits. This page was last revised on March 19, 2019. 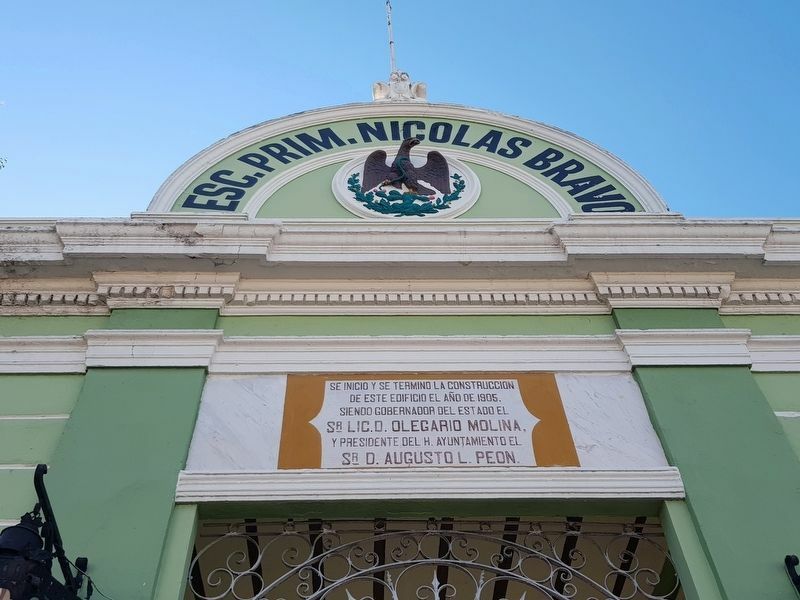 This page originally submitted on March 3, 2019, by J. Makali Bruton of Querétaro, Mexico. This page has been viewed 38 times since then. 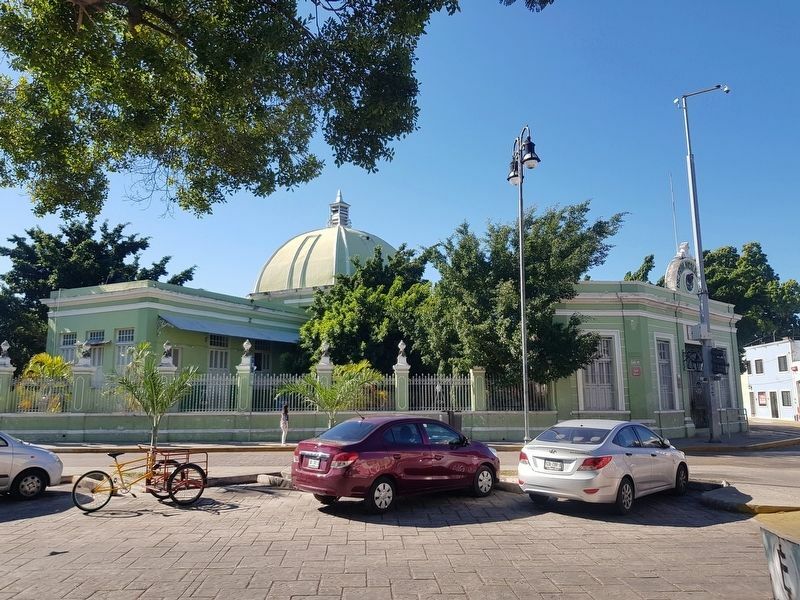 Photos: 1, 2, 3, 4. submitted on March 3, 2019, by J. Makali Bruton of Querétaro, Mexico.